So, you’ve got just one day in Ho Chi Minh and you’re not sure how to go about planning your day? Do not fret, I have your itinerary sorted! The markets are chaotic and hectic, but totally worth a visit. You’ll find everything from scarfs, trinkets and souvenirs, as well as clothing and food. 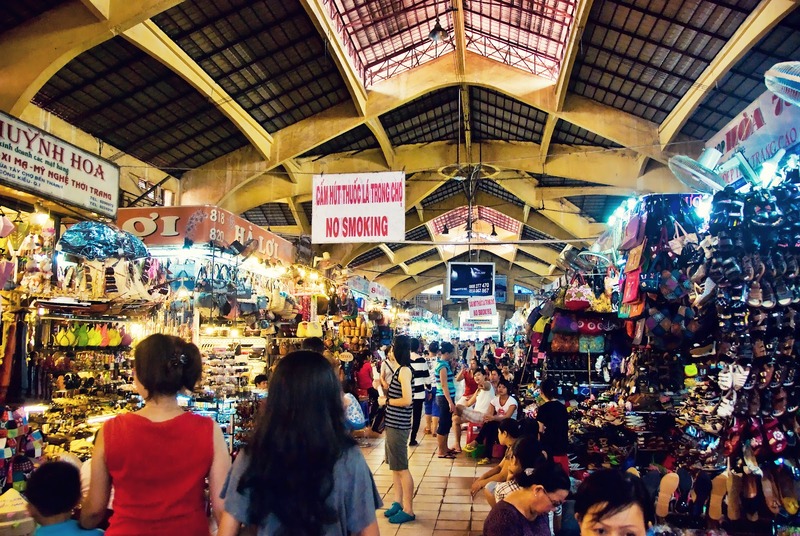 Just like most places in Asia, they will try to sell at hyper inflated “tourist prices” but if you do decide to buy something – they expect you to barter, so offer half their asking price, then haggle to an appropriate price. And even if you aren’t interested in purchasing souvenirs, it’s a great place to get lost in! Formally the home and work place of the President Ngô Đình Diệm of South Vietnam during the Vietnam War, this palace is considered a witness of history. 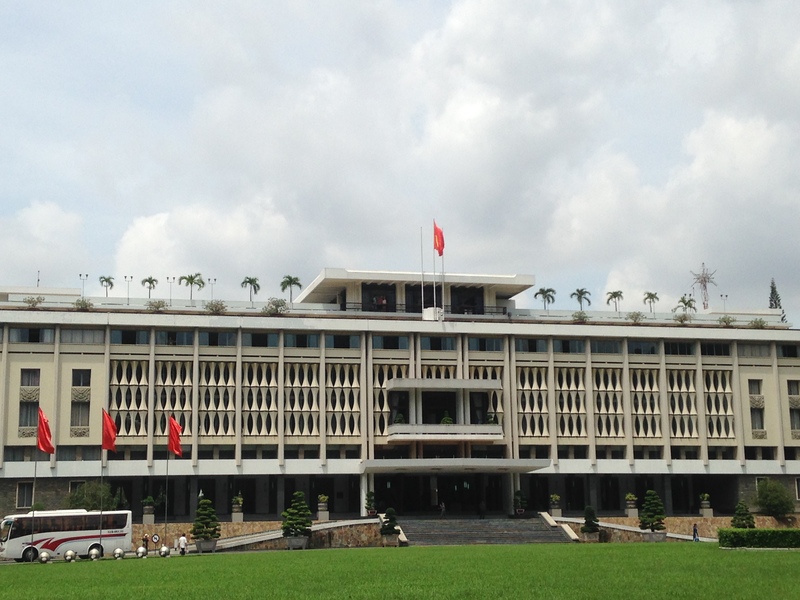 The Palace also marks the site of the end of the Vietnam War – on 30 April 1975, a tank of the North Vietnamese Army bulldozed through the main gate, ending the war. The Palace is well preserved and houses many original artefacts and furnishings. Take a stroll through the underground bunkers, marvel at the beautiful architecture and be sure to take a look at the war remnants in the beautiful green gardens. Two hours is sufficient, so I’d suggest getting there about 9am, as it shuts from 11 o’clock for a few hours over lunch. Make your way through the park to the Notre Dame Cathedral, just a block from the Palace, situated on Pasteur Road. Although you are unable to enter the Cathedral, it is beautiful to look at from the outside and makes for a few good pictures. Walk up Pasteur Road toward the banks of the Saigon River. When you reach the river, turn left and continue along the path through the gardens and past a few lovely buildings. Follow the sky tower – it’s pretty hard to miss! If you get lost ask for the Bitexco Financial Tower Sky Deck. When you reach the Sky tower, you have two options. The first option is to pay a $12USD entrance fee to go to floor 49. The second (much better) option is to head into the adjoining mall (not the tourist entrance) and ask to visit the café on floor 50. You will be escorted through the mall and taken to the elevators. 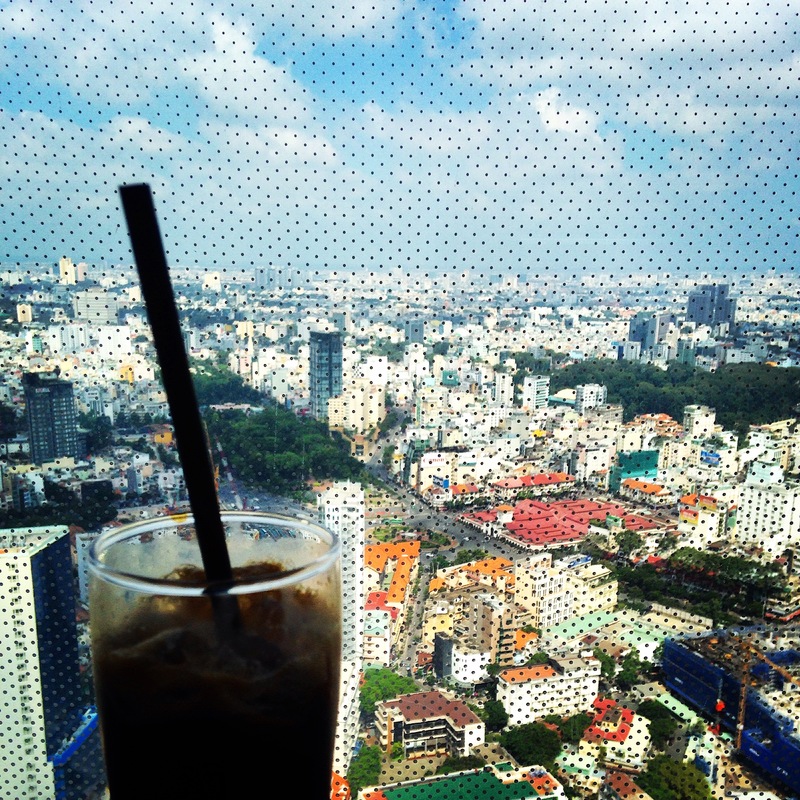 Entrance to floor 50 is free, however you are expected to buy something – I would absolutely suggest buying a traditional Vietnamese coffee for $7, taking a seat and enjoying the incredible view as you cool down. There’s plenty of places to eat in Ho Chi Minh City. Opt for street food, or settle in a nice restaurant with air con to escape the heat, the choice is yours. The Museum is just a short walk from the Palace, and is absolutely worth your time. The Museum has American tankers, bombers and war aircraft in the gardens which are rather impressive. Inside there are three levels, containing more war remnants and lining the walls are stories of the war and the victims of Agent Orange and war crimes. It is a tough place to visit in terms of how emotional some of the stories and images are, however, it is a part of Vietnam’s history and a very important aspect of such – it’s worth heading to the museum to learn a bit more about the country’s past and one of the most controversial wars in recent history. A traditional Vietnamese Water Puppet Show is a fantastic, light-hearted way to end the day. Make sure you pre-book your tickets at your hostel to secure a seat. 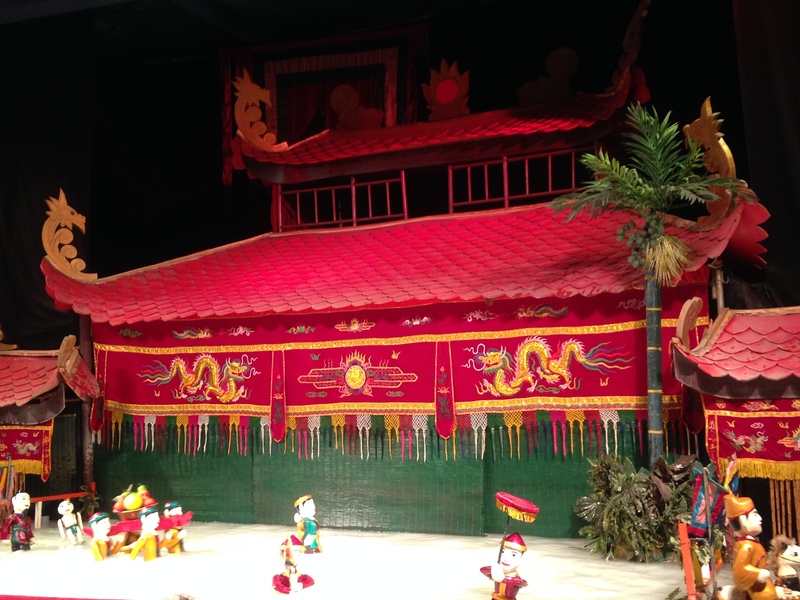 The show is all spoken in Vietnamese, but the storyline is fun and easy to follow with puppets which appear to be dancing on the water, accompanied by traditional music – all in all, it is very entertaining. What would you add to the itinerary? Tell me in the comments. If you have any questions about this itinerary feel free to ask!